Re: How long should I wait? 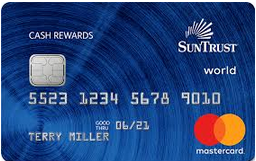 I just got approved last month for NFCU cash rewards with a very gracious SL > $10k (2 other cards CL < $5k).No statement yet. Now almost 5 years post bk7. How long should I wait before applying for Pen Fed? No inquiries except NFCU. I don’t know a lot about PenFed but if it were me, I would go ahead and attempt it. As long as you’ve been rebuilding credit I think five years is a good amount of time from when you got your discharge. Capital One Platinum MasterCard, $300 Credit Limit. Credit One Platinum Rewards Visa, $400 Credit Limit. I am a firm believer to wait 4-6 months between apps. But some might say different when it comes to CU's. Which i have no experience with. Dont want to look desparate apping back to back. It may lead to a higher SL if you do wait. JMO. I bank with a local credit union and I’ve never had really any issues with them and they’ve always been friendly and fair. I also don’t have any credit cards with them though. Even when I had really good credit, I applied for a credit card with them and they had to call me back because they had to get a decision from an underwriter and they were only willing to give me a $500 limit at a ridiculous interest rate even though I had at the time only about $2,000 in credit card debt with like a $20,000 CL and I had like a 760 credit score. I turned them down because that was a very low limit at an asanine rate. I do have a PenFed account which I’ve literally never used. It’s a checking account with no money in it. I gave my BK lawyer six months worth of statements and they’re all blank. Lol. But he still wanted them regardless. FireMedic is correct. Applying for a ton of cards in a small amount of time looks bad and can raise red flags sometimes with credit card companies. I know this from experience. As long as you're not going hogwild, you can apply now if you really want to. I would apply now and let the inquiries age together. An app 6 months later will extend their impact (however minimal ) on your scores from 12 to 18 months .